E-commerce, real estate, travel, photography and many other businesses are always in need of high quality images. These businesses are always in search of images that are attractive, clean, and clutter free that appeals to the viewers. 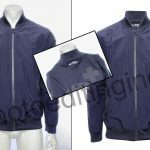 This is where clipping path service providers can help. A photo clipping service can help refine the images to free them from aberrations and imperfections to make them attractive. Having attractive and eye-catching images are very essential to build a brand reputation. However, image clipping service require much computer processing and demands for heavy investments in terms of resources, infrastructure, and software. 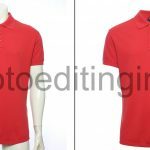 Photo Editing India has many years of experience in image clipping and we are one of the preferred outsourcing partners for many businesses when it comes to image clipping. We have all the necessary infrastructure and experienced editors to offer the best clipping path service. With the responsibility of beautifying the images off your shoulder, you can have more time to concentrate on the core business tasks. Once you collaborate with us, our photo editors can enhance the images efficiently in minimum time. Our image editors are expert in photo clipping and editing software like Adobe Photoshop CS6, Adobe Photoshop CC, and Adobe Photoshop Lightroom and this helps us in offering images with very high quality. We undertake many processes and speed enhancements to get the best quality images at the minimum possible pricing. We have the capability and resources to handle larger work volumes without compromising on the quality of work. 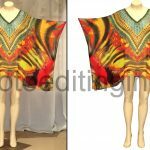 Whether you are an independent photographer or an e-commerce business looking for a clipping path service to edit 100,000 images, we can assure we have the technology, processes, and editors to finish your work on time. We offer the best in class real estate image clipping service to make the images appear very realistic. We can also refine the images professionally to make the property look better in the image. As jewelry is small and expensive, it is important to highlight every minute detail of the same. We can also remove or make changes to the background of the image to ensure that the focus of the viewer remains on the jewelry. Images of furniture are usually complex and need to be clipped carefully. We make use of many Photoshop tools and manual methods to clip furniture images. In the case of furniture images also, we improve the background to make the image look better. Our skilled image editors can handle any type of automobile image editing and clipping to make sure that the images are attractive and that all the features of the automobile are highlighted in it. Fashion images need neat clipping to remove mannequins. We offer great ghost mannequin services to make the mannequins invisible in the image. This can help project the apparel in a better way to attract more and more eyes to the image. 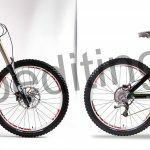 Our clipping path services can help improve the quality of product images that are displayed on online platforms to make them realistic. Some of the product images will need complex clipping, whereas some other will only need simple clipping. 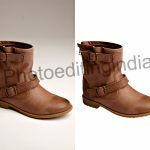 Why Choose Photo Editing India? We always deliver high-quality clipping path service and ensure the complete satisfaction of our clients. We always finish the project within time with utmost quality. Our photo clipping services are reasonably priced and we offer special discounts on bulk orders. We also offer customized pricing as per the requirements of our clients. Our editors are well versed with the latest photo clipping tools like CorelDraw, Adobe Photoshop, PTGui Pro 10 and many more. Outsourcing your image editing needs to us can help you have quality images at the lowest possible charges. Moreover, it can help you cut down your operational costs and save much time and effort. Partner with us to have state of the art image clipping services.